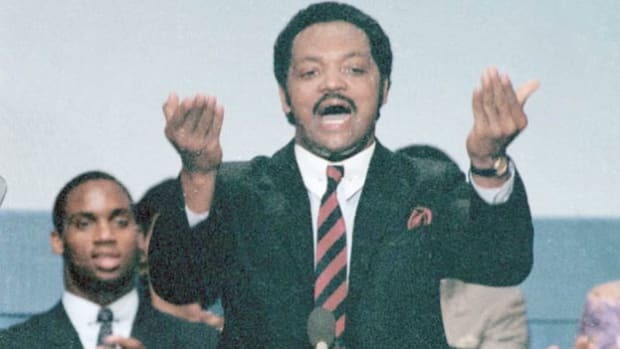 Civil rights leader and two-time Democratic presidential candidate Jesse Jackson (1941–) became one of the most influential African-Americans of the late 20th century. 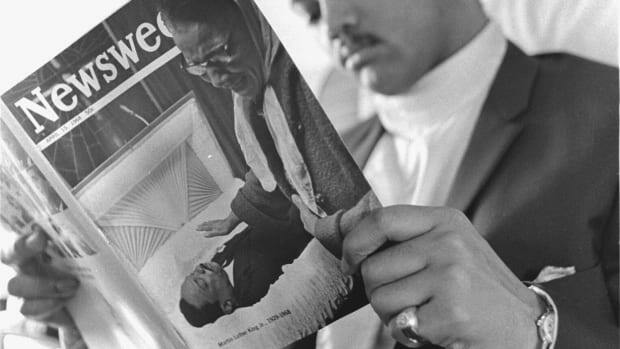 He rose to prominence working within Martin Luther King Jr.’s Southern Christian Leadership Conference (SCLC) and was at the Memphis hotel with King when he was assassinated. Through PUSH, the organization he founded in 1971, Jackson pressed for broader employment opportunities for African-Americans. During the 1980s and 1990s he negotiated the release of dozens of international hostages and prisoners. 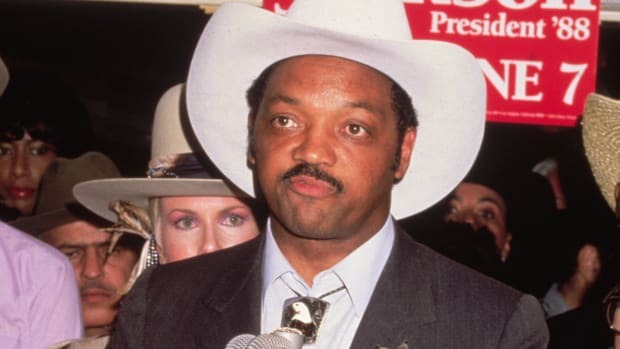 In his 1984 and 1988 presidential campaigns, Jackson won 16 state contests and millions of votes, making him the first viable African-American candidate for president. Jesse Louis Burns was born October 8, 1941, in Greensville, South Carolina. His mother, Helen Burns, was 16; his father, Noah Louis Robinson, was a former professional boxer and a married man. When Jesse was 2, Helen married Charles Jackson. 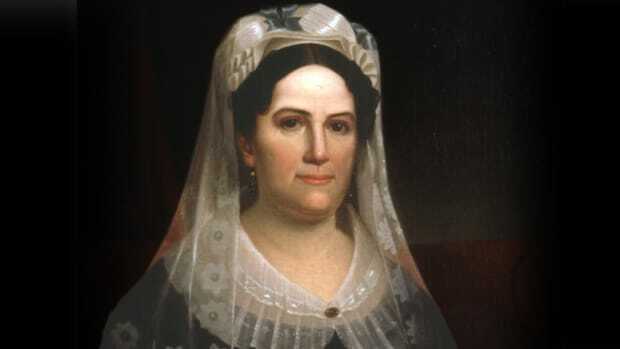 Jesse lived with his grandmother Matilda until he was 13. Jesse then returned to Charles Jackson’s house and in 1957 was adopted by his stepfather. Did you know? Jesse Jackson was the third African-American candidate for president from a major political party. Shirley Chisholm had sought the Democratic nomination in 1972, and Frederick Douglass received a single roll call vote at the 1888 Republican National Convention. At Greenville’s Sterling High School, Jesse Jackson graduated with offers for a minor league baseball contract and a Big Ten football scholarship. He spent a year at the University of Illinois at Urbana-Champaign before transferring to North Carolina Agricultural and Technical College in Greensboro, where he was quarterback and student body president. By the time Jackson graduated with a sociology degree in 1964, he had married Jacqueline Brown, a fellow student, and welcomed the first of their five children. While in Greensboro Jackson had joined the Congress of Racial Equality and participated in marches and sit-ins. After graduation, he began divinity studies at the Chicago Theological Seminary and worked to organize student support for Martin Luther King Jr. In March of 1965 Jackson travelled to Alabama for the historic Selma to Montgomery march with King. A year later he left the seminary to work full-time for the SCLC. Jackson was placed in charge of Operation Breadbasket, an SCLC initiative to monitor companies’ treatment of African-Americans and to organize boycotts calling for fair hiring practices. By 1968 Jackson was part of King’s inner circle and was with him when he was assassinated. 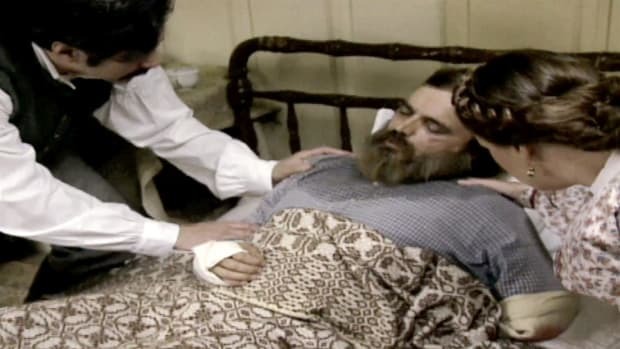 Jackson claimed he had been the last person to speak with the dying leader, though others present challenged his account. Ralph Abernathy was chosen to succeed King as the SCLC’s leader, a position Jackson had wanted. 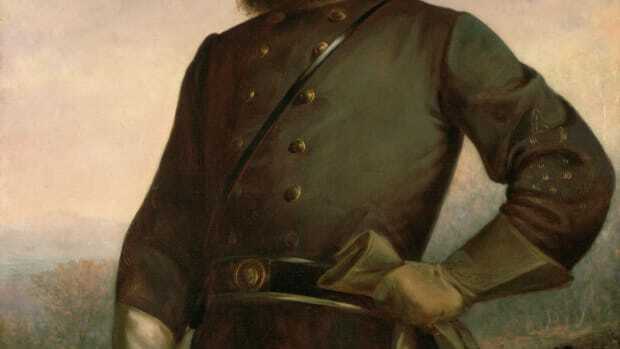 Jackson returned to leading Operation Breadbasket but continued to chafe with Abernathy until 1971, when he resigned to start his own organization. Jackson’s new venture, People United to Save Humanity (PUSH), was similar to Operation Breadbasket, but its scope expanded with its leader’s passions. In 1972 Jackson led a group to the Democratic National Convention that managed to oust Chicago Mayor Richard Daley’s Illinois delegation. In 1984 Jackson ran for the Democratic presidential nomination, winning five primaries and caucuses and more than 18 percent of votes cast. However, a comment he made to a reporter about Jews and his relationship with Nation of Islam leader Louis Farrakhan led to controversy during the campaign. Jackson’s multiracial National Rainbow Coalition grew out of his work in the 1984 campaign and merged with PUSH in 1996. Jackson ran for president again in 1988 and won 11 primaries and caucuses and nearly 20 percent of the vote. 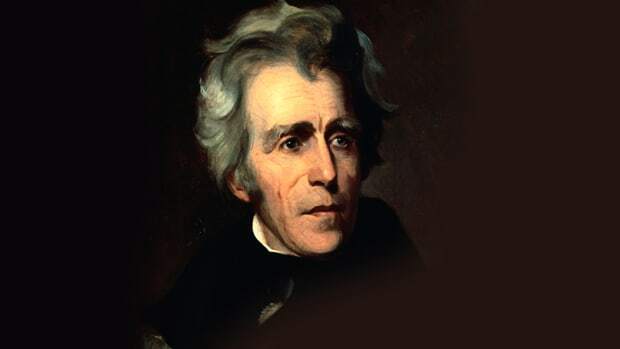 Parallel to his domestic advocacy, in the 1980s and 1990s Jackson worked independently to secure the release of prisoners held by several anti-American regimes. He frustrated the Reagan administration by traveling to Syria in 1984 to win the release of a U.S. fighter pilot. Jackson also helped free 22 Americans held in Cuba on drug charges, as well as 27 Cuban political prisoners. During the 1990s Jackson worked to free hostages from Iraq and Kuwait before the Persian Gulf War. He also secured the release of three U.S. soldiers captured during the Kosovo conflict. In 2001 Jackson withdrew briefly from activism after admitting that he had a 2-year-old a daughter with a former member of his staff and had used Rainbow/PUSH funds to pay a portion of the expenses. Jackson was an early supporter of Barak Obama’s successful 2008 presidential campaign, though he later became a critic of certain Obama policies. On the night of Obama’s election, Jackson was photographed on stage at the victory celebration, tears streaming down his face as he recalled Martin Luther King and others who had died in the struggle for civil rights.